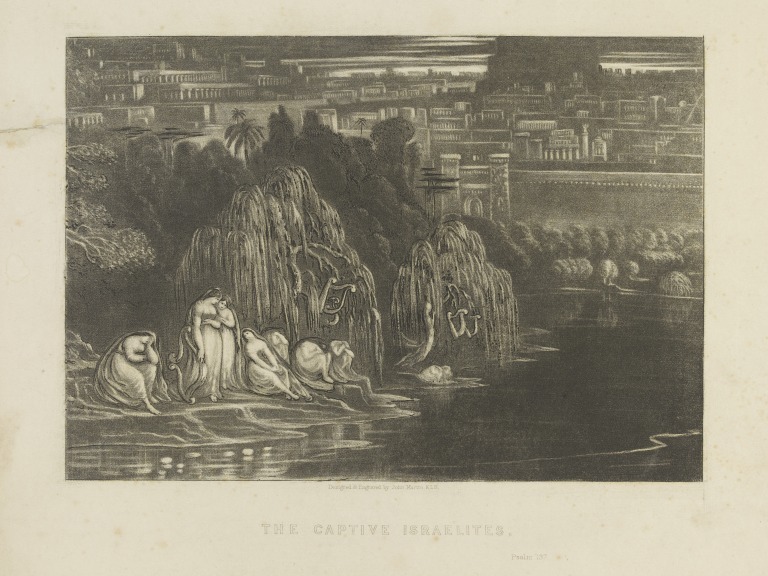 Mezzotint lettered with the title, 'The Captive Israelites', and 'Designed & Engraved by John Martin, K.L.B London: James Sangster & Co. Bell Sauvage Yard'. 'The Captive Israelites'. 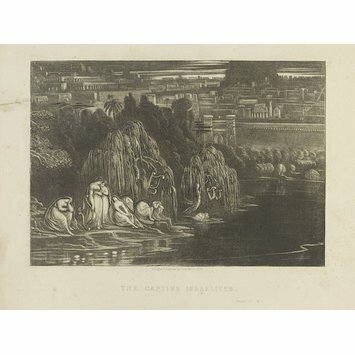 Mezzotint by John Martin (1789-1854). Probably 19th century.